At Mary Immaculate Catholic Parish Primary School we nurture and are proud of our strong Catholic Identity. 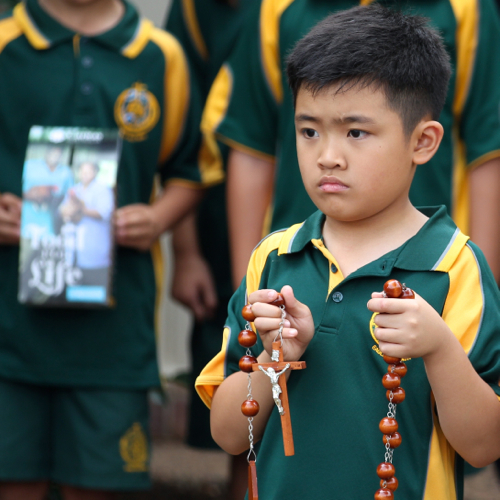 We pride ourselves on being a Catholic school community of faith, love and learning. Our school belongs to the Parish community of Mary Immaculate, which is under the care of the Oblate Fathers. Together we work to promote and develop the faith life of our students, staff, families and parishioners. Our school motto – ‘Christ Our Way and Life’ challenges us to make Christ a reality to all. We are a school of faith, a community of believers united in Christ.